Quite widely penned for it's immaturity and it's poorly written lyrics (the latter of which I whole-heartedly agree with), The Neighbourhood's EP and, subsequently, this debut album have created quite a storm on Internet on visual mediums like Tumblr. I myself only came to discovering the band after my friend linked me the lead single on Youtube; 'Female Robbery'. It's easy to see why the lead single clearly misdirects your anticipation for the album, because the broody, atmospheric lull of the single isn't at all reciprocated in the rest of the album. In fact, the single seems like a carefully planned marketting ploy in the wake of the colossal impact of Lana Del Ray's signature style of slow, glacial songs with seemingly 'deep' subject matter. I mean no disrespect- no wait, that's a lie, but the annoyingly narcissistic nature of today's emotional songs will piss you off after you've been through much more colossal albums than this. That said, shallowness doesn't really matter in the music, though it paints the picture of the artiste and indicates how you're expected to appreciate it. 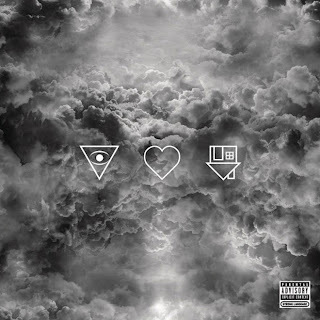 Here, The Neighbourhood melds influences from other genres, particularly indie rock and rap, in what results in an ironically pop album, that is exciting on the surface because of the relatively fresh approach in sound that masks the atypical pop song structures on I Love You. The lead single, however, is dazzling in it's use of 'screams' (either guitar effects or a highly distorted human scream) as atmosphere, repeating them even, and that is a highlight in the album. However, like the rest of the strengths on the album, it's shortlived. There are numerous instances when the band uses alternative sounds or instruments for the melody, such as on 'Sweater Weather'. However,the album tosses up the strengths of their earlier EPs with the modern radio sound, with crooned lyrics of angst to appeal to the adolescents and post-hip hop rhythms for a wider audience, though the mismatch of slick, groovy beats highly contradict the thick, sharp atmospheres borrowed from the post-rock arena (now conveniently just labelled 'indie' by society). As for the lyrics, I leave that to the listener. Lyrics are subjective to the listener, since I am not going to make you any more mature by convincing you these are poorly written lyrics.